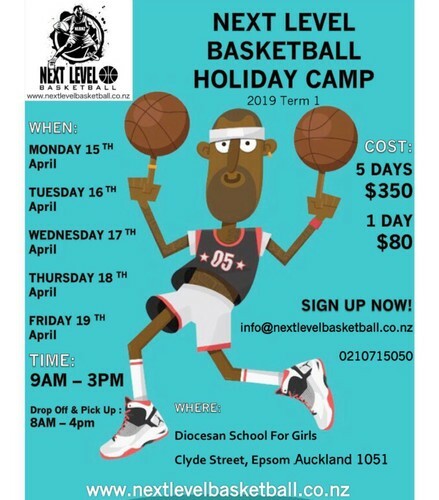 Next Level basketball is offering a fun filled holiday camp for all ages for the upcoming term holidays. Over 5 days you will learn skills and techniques that will lay the foundations for a great basketball player. Our coaches have a wide range of experience coaching primary school children through to National Level Rep teams. Many players who attend our camps play in representative teams for their school and clubs. This camp will give you an upper hand on other players who may not be training in the holidays. For further info or any questions please email info@nextlevelbasketball.co.nz. Or visit our website and Facebook page.